The New York State Pollution Prevention Institute (NYSP21) has announced awardees of its 2017-18 Community Grants Program as part of the organization’s ongoing efforts to continue improving the health and environmental quality of New York state. NYSP2I—which is sponsored by the New York State Department of Environmental Conservation through the Environmental Protection Fund and led by Rochester Institute of Technology’s Golisano Institute for Sustainability, is funding proposals from 10 organizations statewide following the completion of a competitive review process. The Community Grants Program provides nonprofit organizations and local governments both financial and technical assistance for projects that promote and implement pollution-prevention practices at the community level. NYSP2I announced the funding during a Facebook Live event on May 16. Home HeadQuarters Inc.: Healthy Homes Classes will offer free residential classes to Syracuse homeowners and renters on how to reduce exposure to indoor environmental toxics as well as how to decrease energy consumption. The Buffalo Zoo: Teaching K-12 Pollution Prevention through Art and Sciences will educate and engage K-12 students and teachers on pollution-prevention practices, specifically how to prevent stormwater runoff pollution and plastic bag pollution. Huntington Breast Cancer Action Coalition: Planting the Seeds of Prevention Education: Capacity Building Among Young Leaders will develop a leadership program for Long Island youth, empowering them to make safer personal care product choices with the long-term goal of pollution prevention. Center for Environmental Initiatives: Watershed Education and Outreach project will develop in the Rochester, N.Y., area pollution-prevention, water-based educational programming, including a summit for educators and education stakeholders to share management practices that will reduce and prevent pollutants at their source. Radix Ecological Sustainability Center’s Community Compost Initiative will reduce and divert food waste from landfills by expanding a compost collection and education system in the Albany area. New York State Business Institute’s Business Leadership on Safer Materials project will encourage and support New York state businesses to reduce toxic chemicals in the workplace through development of educational materials and also by connecting businesses that seek this change with one another. AdkAction's Road Salt Pollution Prevention in the Adirondacks will provide public road management professionals, the New York State Department of Transportation and Adirondack municipalities with research on the environmental impacts of road salt, best practices for sustainable use and suggestions for adopting best practices. Clean and Healthy NY’s Pollution Prevention in the Child Care Setting will provide technical support to child care providers across New York state who wish to transition to safer products and materials. Hudson Valley Regional Council’s Feeding the Hudson Valley will work to reduce and divert food waste through educating the public at a large public event in October 2017 that will feed the community with rescued and donated food. Children’s Environmental Literacy Foundation Citizen Science in New York City School Communities will engage New York City public school students as environmental health and pollution-prevention researchers who will collect, analyze and compare air pollution data from neighborhoods in each of the city’s five boroughs. 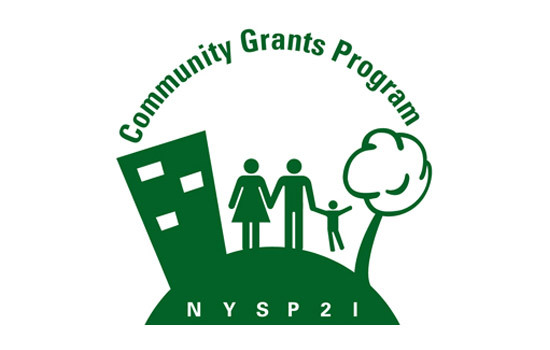 Now in its 10th year, NYSP2I’s Community Grants Program has supported 100 projects throughout New York state with grants totaling more than $1.5 million to date. Past projects have included green chemistry workshops for high school students and teachers, homeowner education encouraging environmentally conscious practices and rainwater harvesting, and education regarding deconstruction and green building renovations. A request for applications is typically announced in the fall. Go to http://www.rit.edu/affiliate/nysp2i/community-programs/community-grants for information. Sponsored by the New York State Department of Environmental Conservation, the New York State Pollution Prevention Institute is led by the Golisano Institute for Sustainability at Rochester Institute of Technology, and is a partnership between RIT, Clarkson University, Rensselaer Polytechnic Institute and the University at Buffalo. NYSP2I’s statewide reach is supported by partnerships with the state’s 10 Regional Technology Development Centers. NYSP2I’s goal is to make the state more sustainable for workers, the public, the environment and the economy through pollution prevention. Pollution prevention is reducing or eliminating waste at the source by modifying production processes, promoting the use of non-toxic or less-toxic substances, implementing conservation techniques and reusing materials rather than putting them into the waste stream.